It seems Pioneer is embracing the world of controllers and all in one units head on. As the industry standard, Pioneer equipment can be found in the booth of nearly every respectable night club around the world. 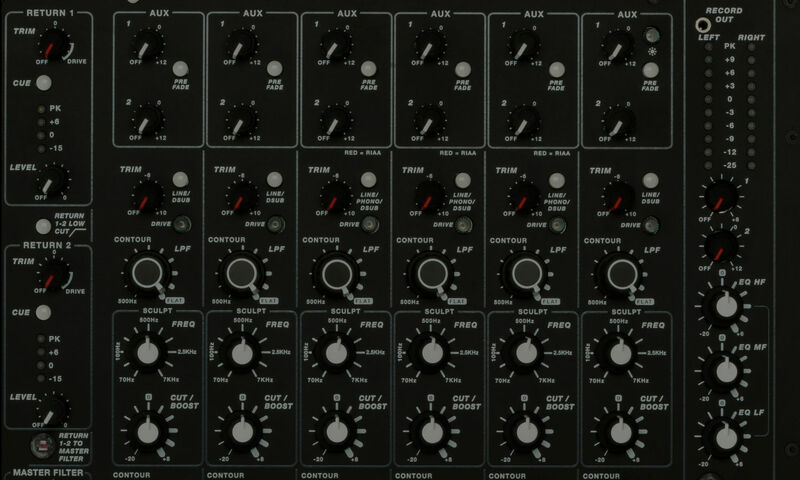 As the trend in equipment demand dictates a change in direction for play style and equipment needs, the company has managed to stay relevant to major competitors such as Native Instruments with the introduction of their own software, various controllers and the emergence of all in one units. The DDJ-RZX is the newest product to join the growing list of offerings from Pioneer. But what is it, and is it worth it? As a standard platform for DJing, the DDJ-RZX provides a compelling list of features that will make most familiar with Pioneer equipment feel right at home. 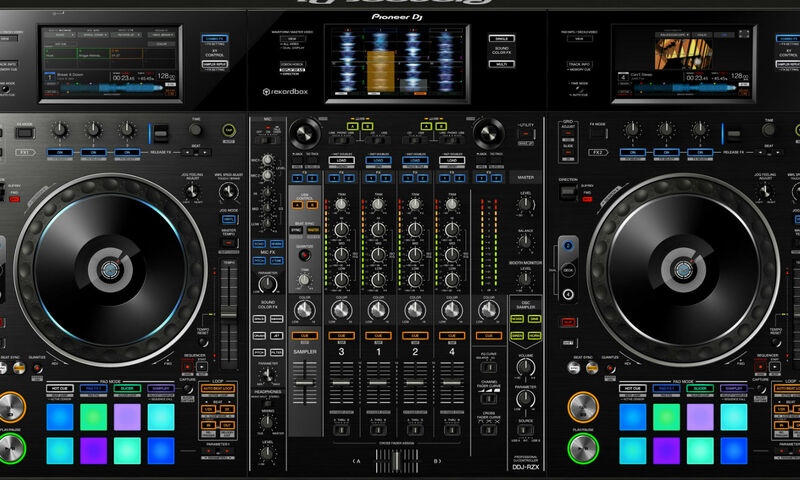 The ‘media player’ portions of the DDJ-RZX mimics the features of the CDJ-2000s, including a large jog wheel along with the addition of digital brightly lit pads for sampling. The sample portion features Beat Sync, quantize and trim. 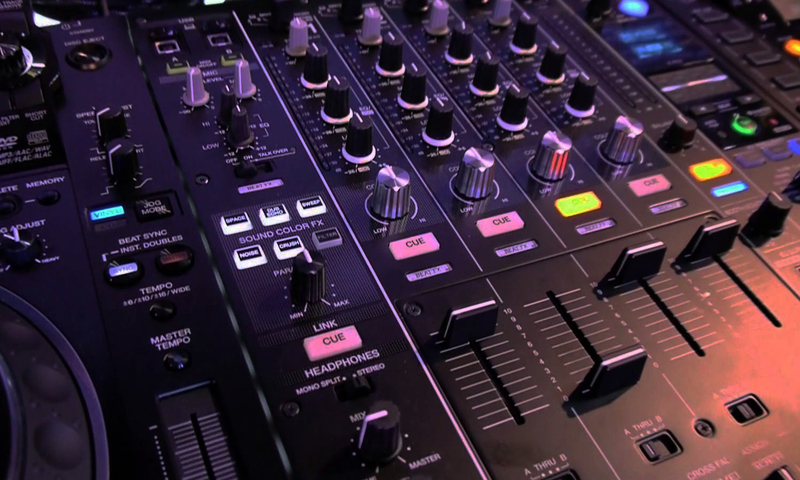 The mixer portion of the console offers features that rival that of the DJM series form Pioneer, offering 4 channels and an FX unit that includes Mic FX, Combo FX, Sampler Repeat and Release FX ans the Sound Color FX borrowed from the DJM-900NXS. The DDJ-RZX also features three 7 inch LED screens which depict all of the track details users are accustomed to on the flagship CDJ-2000NXS, such as titles, BPM and key using deck display mode, as well as side by side vertical waveforms. The screens are also capable of displaying the loops and Hot Cues when in mixer display mode. One success Pioneer has had with these recent product offerings is knowing what the new market demands and that is access to information available right on the unit, allowing the DJs to take a step back from their laptops and focus instead on the equipment they control. While all of this is enticing to a DJ in the market for new equipment, we have yet to mention the most revolutionary feature of the DDJ-RZX. Bundled with the console is a copy of Rekordbox Video, the latest software offering from Pioneer which shows they have no fear in taking on Serato head on with the ability to bring a visual element to the DJ’s control. If utilized the DDJ-RZX allows for the loading of image and video files which can be outputted to available projectors or screens. The unit also allows for the addition of a USB camera allowing for a live video element to be added to the DJ’s visual control. By preparing video and image files in Rekordbox Video, the artist is able to mix the visuals on the fly as they would audio files and modulate them with the available on deck controls. The DDJ-RZX is a unique piece of equipment that is sure to find many eager purchasers excited to bring a visual element to their performance, although arguably it is not for everyone. As the expectations from DJs seems to demand an element of entertainment, the DDJ-RZX offers a unique approach to artists looking to answer that call. Traditional artists, however, are most likely to find the additional elements provided by the equipment to be a distraction from a performance based on music. What are you thoughts on the Pioneer DDJ-RZX? The DDJ-RZX will sell for $3000. More information is available on Pioneer’s official DDJ-RZX webpage.